Stephen Precella, Shop Foreman, joined us in November of 2012. Stephen's knife passions are Hunter, Tactical, and Fantasy Knives. He loves to push the boundaries with handle construction and leather carving and tooling. Stephen is always the first to try something new and innovative. 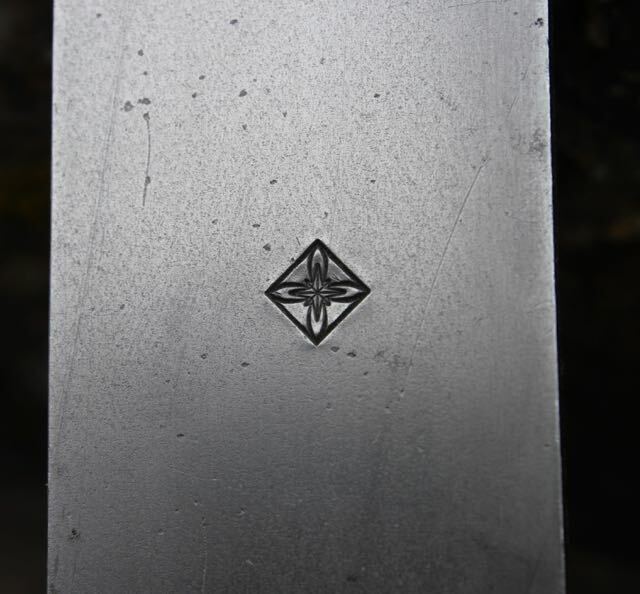 Knives with this stamp have been exclusively made by Stephen. Daniel Cruz joined us in July of 2017. Daniel is our newest knifemaker, and our only other Full Time maker. Daniel is Jack of all, he runs our Social Media, Public Relations, and Donations, as well as building amazing knives. Daniel's newest challenge is designing the best pocket sized fixed blade knife as an Everyday Carry, (EDC). Knives with this stamp have been exclusively made by Daniel. Russell Montgomery, I started Serenity Knives in Jan of 2010. After having a passion for collecting and using knives a majority of life. I sought out Murray Carter and over 2 years spent several weeks learning the traditional Japanese way of bladesmithing. After honing those skills I took several weeks of workshops with the American Bladesmithing Society and learned the Appalachian Mountain way of doing things. I now use a balanced combination of these two very divergent techniques and way of design to build the best knives I can. Knives with this stamp have been made exclusively by Russell.